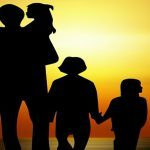 Currently, in the state of California, it’s difficult for low-income individuals to obtain the services of licensed marriage and family therapists. That’s because marriage and family therapists have been excluded from reimbursement by Medi-Cal, the state’s program for low-income Californians. However, California lawmakers this year passed legislation that will increase access to marriage counseling services allowing marriage and family therapists at federally qualified health centers (FQHC) and rural health centers (RHC) to be reimbursed through Medi-Cal like psychologists and licensed clinical social workers. Assembly Bill 1863, a bill authored by Assembly member Jim Wood of Healdsburg, was signed by Governor Jerry Brown in September. The legislation will provide more marriage counseling services to low-income couples by allowing federally qualified health centers (FQHCs) and rural health centers (RHCs) to hire more licensed marriage and family therapists. FQHCs and RHCs are the federally-designated clinics that are required to serve medically underserved populations throughout the state. These health clinics provided more than 10.5 million Medi-Cal visits to low-income individuals and families in California in 2013. WHAT IS THE AIM OF AB 1863? Assembly Bill 1863 is aimed at expanding access for low-income individuals and couples to marriage counseling services particularly in California communities and locations where individuals or couples would have to travel long distances to meet with a marriage counselor. Additionally, the bill will actually allow a Medi-Cal recipient to visit his or her primary care doctor as well as a marriage therapist on the same day. Current law allows patients to bill Medi-Cal for only one visit per day. The new law goes into effect on January 1. Approximately 40,000 marriage and family therapists are licensed to practice in this state, compared to about 22,000 social workers and 21,000 psychologists. Under the current law, clinics are able to hire licensed clinical social workers and psychologists for their Medi-Cal patients, but they often can’t find enough certified social workers and psychologists to meet the needs. Many clinics don’t provide any counseling services at all. WILL AB 1863 HAVE OTHER POSITIVE EFFECTS? Christopher Reilly, himself a marriage and family therapist, believes that an unanticipated side benefit may emerge from the new legislation. He expects that those seeking marriage counseling will be able to rely less on medication. Often, Reilly notes, individuals and couples suffering anxiety or depression will rely on medications simply because there’s no one available to talk with or provide counseling, which is clearly a superior alternative to pharmaceuticals. Historically, access to marriage counseling services has been difficult for many low-income residents in California, especially those in remote areas of this vast state. Lawmakers began to meet the needs in 2014 when they allowed millions of additional Californians to qualify for Medi-Cal and for mental health services through the Affordable Care Act. But that new access put even more stress on the state’s mental health system, which wasn’t prepared for the large numbers of people seeking services. AB 1863 seeks to relieve that stress on the system. The staff at OLE Health in Napa sees about 25,000 patients every year. Tanir Ami, the CEO, says it has been difficult to hire enough social workers to meet with the many patients who are frequently anxious or depressed by marital or familial strife. Assembly Bill 1863 will benefit nearly one thousand federally-funded and rural health clinics in California, according to the state’s own analysis of the bill. WHY DID SIMILAR LEGISLATION FAIL LAST YEAR? Sometimes, of course, not even the best counsel can save a marriage, and divorce becomes the only realistic alternative. There’s no reason to stay in a marriage that’s unhappy or unhealthy and isn’t going to get better. However, divorce in this state can be quite complicated, and if you are divorcing in southern California, it is imperative that you do it with the advice and services of an experienced divorce lawyer who can look out for your best interests. In California divorces, community property is to be divided equally. It might sound simple, but when extensive assets and property have to be divided, deciding who owns what can be exceedingly difficult. 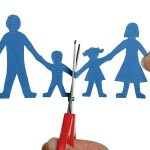 When children are involved, a divorce becomes even more complicated. The courts in California will always put a child’s best interests first. When a marriage cannot be saved, an experienced Orange County divorce attorney can help, but most people do want to save their marriages. With AB 1863, California lawmakers will help more couples do that.